Mr.Tsahi Stromza is an Associate at the International Institute for Counter-Terrorism (ICT) at the Interdisciplinary Center (IDC), Herzliya. 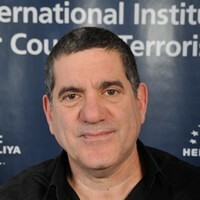 Prior to joining the ICT, Tsahi served as the Director of the Security Division (rank equivalent to General) at the Israeli Security Agency (ISA), Israel’s Domestic Intelligence Agency. He served as well as the Director of Security of El Al Airlines and held a variety of roles in the field as well as top level managerial position and command. He has extensive experience in regulations and operations of aviation security, border security, cyber-security both in Israel and abroad. Tsahi is a graduate from the MA Program in Counter-Terrorism and Homeland Security at the Lauder School of Government, Diplomacy & Strategy at the Interdisciplinary Center (IDC) Herzliya. His research interest are homeland security, aviation security, anti-terrorism and intelligence.